The test bed for the ÇAFRAD prototype, TCG Göksu sailing through Bosphorus. The large structure on the flight deck houses the illumination radar, multifunctional radar, and the IFF interrogator. The arrays of the radars are looking to the starboard side of the ship. Power generators and HVAC systems are also mounted on the flight deck. On 13th December 2018, it was announced that a RIM-162 ESSM missile fired from the frigate TCG Göksu hit a target drone. The live shooting exercise was important as the target was tracked and illuminated by Turkish made radar system. In November 2018 Turkish Navy started to field testing an Active Electronically Scanned Array (AESA) radar prototype manufactured by Aselsan. The prototype was installed on the flight deck of the Gabya –O.H. 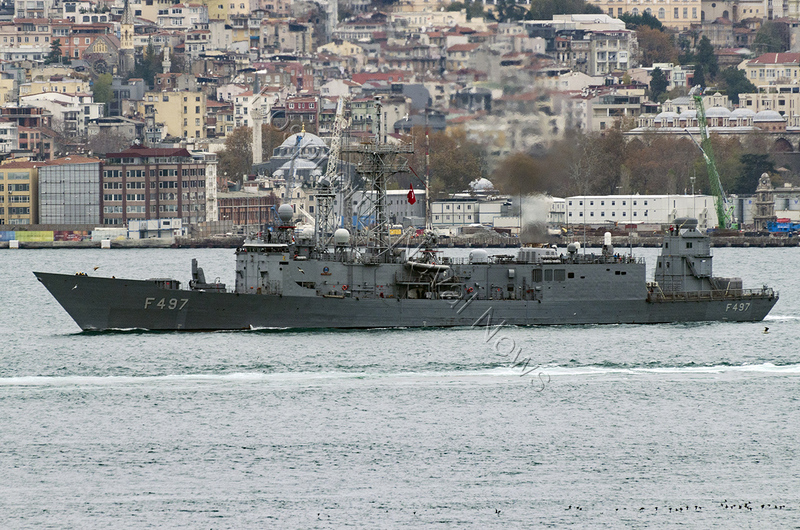 Perry-class frigate TCG Göksu. The technology demonstrator prototype installed on board of TCG Göksu has only one set of multifunctional phased array radar and illumination radar. The arrays of the radars are looking to the starboard side of the ship. Power generators and HVAC systems are also mounted on the flight deck. The ASEA radar project named ÇAFRAD (Turkish abbreviation of Multi-Functional Phased Array Radar) was first made public in 2012. The contract for the Phase I, was signed in August 2013 between Aselsan and –the then- Undersecretriat of Defence Industries. The contract value is 200 Million Turkish Liras. Phase I covers the design, development, manufacture, and testing of the ÇAFRAD prototype, to be composed of an X-band multifunctional phased array radar, an X-Band illumination radar and an IFF system with nonrotating AESA antenna. Phase II covers the design and development of a long-range active phased array radar and the development of multi-face antenna versions of multifunctional radar and illumination radar. The multifunction active phased array radar will have a range of around 150km and it will be used for, horizon searches, air, and surface target detection, tracking and classification, small, low altitude and high-velocity air target detection and tracking. The long-range active phased array radar will be used for, long range volume searches, air and surface target detection and tracking. When finished it will have a range of 450km. The active phased array illuminator will be used for semi-active missile guidance. The factory acceptance tests for the prototype were scheduled for 2017 and the testing on board of a warship was planned for the first half of 2018. Now with the FATs finished field testing has stated. 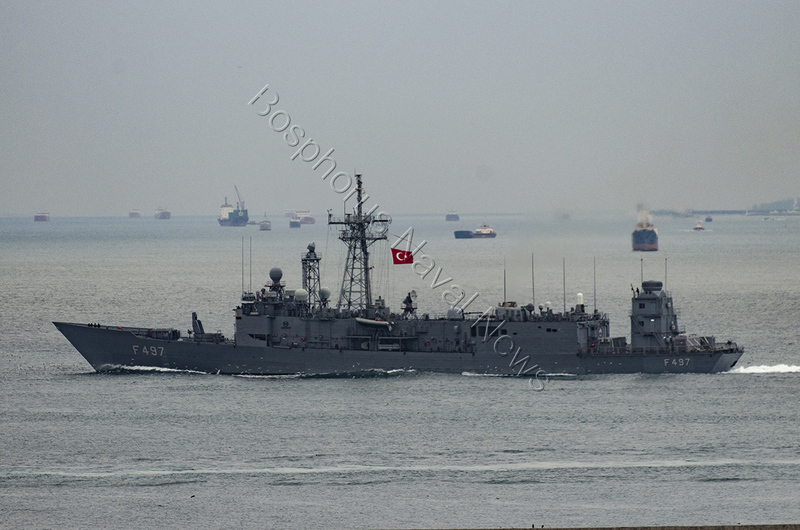 When the tests on board TCG Göksu are completed SSB will start the Phase II. The deliveries of complete systems are planned for 2023. When finished, the ÇAFRAD system is intended to be installed as the main sensor and fire control system on board of the TF-2000 air defense warships.